By TruePublica: It is unfortunate, to say the least, the position that Britain finds itself in right now. A once self-confident small island nation punching way above its weight is descending into chaos driven by the political ideology of the radical right. There are some though, who should bear a greater burden of the blame when all is said and done. Jacob Rees-Mogg is one such individual who needs to stand up and be counted. The ERG, a supposed research support group, funded by the taxpayer, whose sole focus is the single issue of the UK’s withdrawal from the European Union is headed up by someone who consistently resorts to peddling lies and falsehoods to promote their argument. One can only assume from this that the truth doesn’t fit reality. There is a fact that cannot now be disputed – that the Leave campaign (no matter what you believed or voted for when it comes to Brexit), was built on lies. To make matters worse – as the UK hurtles toward the no-deal cliff – the liars and charlatans who told them are laughing all the way to the bank and in the faces of those who support them. One only has to look at the withering response to the investigation by Channel 4 Dispatches of the estimated £7million earned by Jacob Rees-Mogg since the referendum. But leaving aside huge personal profiting as a motivation – lying and the falsifying of known facts in public life somehow now seems to be acceptable to those walking the corridors of power. The evasion of personal responsibility also somehow seems today to have become truly infectious and nowhere is that truer today than with Jacob Rees-Mogg. The likes of Rees-Mogg and his group of disaster capitalists are now focused on the bottom-line of their bank balances – the windfall is so close, they can taste it. Crashing out of the EU without a deal, (some mistakenly like to think it is off the table) will be an unmitigated economic disaster for Britain. In the fairytale land of the ERG, they put their stall by “a managed transfer to WTO terms” – something the WTO has consistently said is simply not possible. We should not forget that last October, International Trade Secretary Liam Fox was forced into an embarrassing admission, not covered by the mainstream media. His plan to quickly normalize the U.K.’s World Trade Organization commitments had failed, forcing the government to enter into what will likely be lengthy negotiations with other members on basic terms of trade after Brexit. What happened was that a number of WTO members, which included the USA and more than a dozen major exporters said they opposed the U.K.’s approach and terms and then formally objected to the British government application. The consequence was that Britain’s proposal to join on WTO terms were rejected … by some of the very countries that Liam Fox and Rees-Mogg claimed Britain will be able to trade with immediately after Brexit. This is false. The boss of the WTO confirmed it and said so well in advance. Then our application to the WTO was rejected. Experts in the field are confused by Rees-Moggs statement. Peter Ungphakhorn, who spent twenty years with the WTO secretariat, can’t make head or tail of it. Steve Peers, who is professor of EU, Human Rights and World Trade Law at the University of Essex, is similarly nonplussed. Lorand Bartels, reader in International Law at Cambridge and senior counsel at Linklaters, is also baffled. It is a particularly confused bit of nonsense. He also claimed that if the French insisted on checks, lorries could divert to other ports in Europe. “If we leave without a deal and the French say your goods can’t come in via Calais, which is possible, but then there are other ports and Rotterdam and Antwerp have been increasing their infrastructure and taking on more customs officers,” he said. This, of course, would be a major breach of WTO rules and is again just a falsehood. Rees-Mogg is lying or most charitably is at best unbelievably misinformed. Just last week, Rees-Mogg said yet again: “If we leave the EU on WTO terms, Article 24 of the World Trade Organisation would allow the UK and EU to maintain zero tariffs for up to 10 years while negotiating a new deal with the EU.” WRONG again – even FullFact had to put this one right in a lengthy response. Leaving aside obviously right and left wing newspapers, even some of the mainstream media are getting annoyed. He’s consistently voted against gay rights, smoking bans, equality and human rights and against allowing terminally ill people to be given assistance to end their life. He’s voted against investigations into the Iraq war, against strengthening the Military Covenant and even against paying higher benefits over longer periods for those unable to work due to illness or disability that includes military veterans. He has consistently voted against spending public money to create guaranteed jobs for young people who have spent a long time unemployed. He has voted against a banker’s bonus tax, against higher taxes on banks, almost always voted for reducing capital gains tax, voted for reducing the rate of corporation tax and consistently raising costs for higher education. 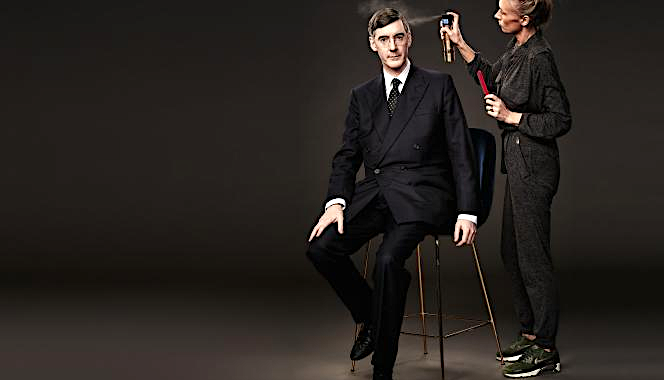 In fact, he has voted on everything that suits Rees-Mogg not the betterment of the nation as a whole and from a public point of view – he’s quite possibly the least moral politician you could ever vote for. In March 2108, The Sun acknowledged its story on lower prices after Brexit was false. But Jacob Rees-Mogg, who peddled these lies – who enthusiastically endorsed it, then remained quiet when the story was completely debunked. It followed an article in the paper in which they calculated the enormous savings which would be enjoyed by British consumers once the UK had ‘freed itself from the strait-jacket of the EU’s customs union’. Nike trainers would cost £20.40 less! Steak down £1.68! Cigarettes slashed by £6.16 and many other completely false assumptions on pricing. It was shared approvingly by Jacob Rees-Mogg, who posted it on Twitter with the message “Thanks to the Sun for calculating the huge savings for us all outside the Customs Union, except for the one on cigarettes which no government would pass on”. 3,143 people retweeted it and 5,356 liked it at the time. The only tiny little problem with it was that – the entire story pushed out by a national newspaper was nothing but a pack of lies just as Mr Rees-Mogg would have known. But perhaps the one that fully demonstrates Rees-Mogg’s capacity for manipulative, cynical lying was when he conspired with Steve Baker to accuse, from the floor of the commons, the civil service of trying to scupper Brexit. The BBC covered the story where Rees-Mogg had accused Treasury officials of fiddling figures on Brexit to keep the UK in the European Union customs union. The Home Secretary even stepped in and clearly stated Rees-Mogg was wrong to say this. Even Baker later apologised. Rees-Mogg, characteristically, has never done so. In the meantime, Rees-Mogg somehow conveniently forgot to mention that leading Brexiteer Michael Gove had denounced the Good Friday Agreement. Rees-Mogg also made a remarkable series of claims about food banks, saying that the “real reason” for the rise in the number of people using them was that “the Conservative government allowed Jobcentre Plus to tell people that food banks existed”. He added that the previous Labour government had a policy to “deliberately” refuse to tell people food banks existed. There was just one problem with his claims, though – FactCheck could find no evidence for any of them. What’s more, there’s good evidence to suggest it is actually the government’s own welfare policy which is a key reason why many people are forced to use food banks. Rees-Mogg has been consistently been found peddling not just falsehoods but misinformation and propaganda. He continues to use false statements, knowing them to be so to enhance his own position and that of his ideology.